Previously, institutional investors did not stake their cryptocurrency or participate in governance because of the need to use crypto-custodians. Coinbase Custody is changing that with support for Tezos staking and MakerDAO governance for its institutional clients. On Mar. 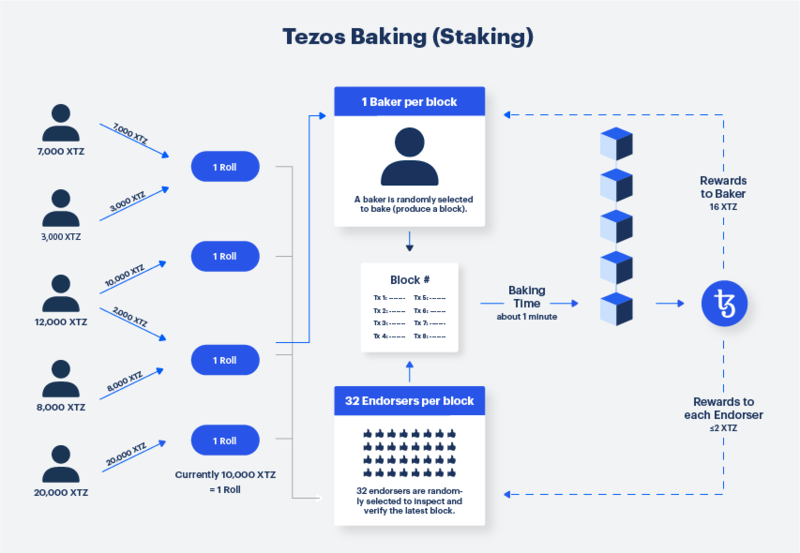 29th, Coinbase announced support for Tezos (XTZ) baking, the protocol’s equivalent to proof-of-stake staking. “We’re proud to be the first full-service, regulated, and comprehensively insured, and 100 percent offline staking provider in crypto,” said the release. Following staking support, the exchange also plans to offer in-custody governance options for both Tezos and Maker. The new staking features from will allow Coinbase Custody’s institutional clients to earn “passive income,” or interest, on their Tezos while enjoying the security of the service. This is critical for fund managers who have financial responsibilities to their investors; previously, staking was impractical because of security risks, the lack of insurance coverage, and certain regulatory requirements. Within 7 hours of the announcement, Tezos was up 8.9 percent while the overall market was largely sideways, with market capitalization only increasing by 0.14 percent over that same period. According to the release, Coinbase will run its own nodes and validators for staking. The service will be “100 percent offline,” and the exchange will post all bond requirements for Tezos bakers. Those using the custody services will not be able to opt-out of staking, with Coinbase stating the services are “non-discretionary” for its clients. In addition to staking support, Coinbase is adding Maker and Tezos governance options in the second quarter of 2019. MakerDAO, one of the fastest growing Ethereum projects, uses a DAO to maintain the dollar-peg of its Ethereum-backed stablecoin Dai. Like staking, institutional investors previously did not have access to voting privileges if they used a custodian. Coinbase will be the first exchange to introduce these features directly into a custodian service. “We’re working directly with the MakerDAO team to ensure our offline storage works seamlessly with their VoteProxy smart contract. And we’re excited about all of the interesting ways we’ll be able to start surfacing governance opportunities direct to our clients in-app,” stated Coinbase in its release. MakerDAO is down 2.9 percent within the last 24 hours despite the news. According to Joe DiPasquale, CEO of BitBull Capital, while attending the “The State of Crypto” event on Mar. 28th where Jeff John Roberts from Fortune’s The Ledger interviewed Brian Armstrong—CEO of Coinbase. Staking and voting support was mentioned there as well, and lending and earning features for deposits will be available a year or more into the future, according to the DiPasquale. He went on to say “the rumors about Tezos/MakerDao being eventually listed are of course now strong due to the addition of custody for them,” and Coinbase’s past listing history may support these rumors. The post Institutional Investors Can Earn Interest on Tezos Through Coinbase Custody appeared first on CryptoSlate.